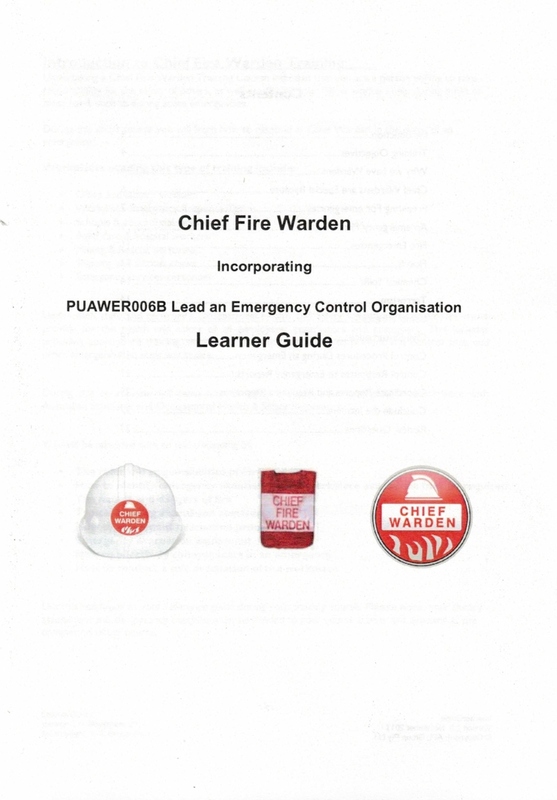 This Fire Warden course applies to a wide range of settings where emergencies requiring evacuation may occur, ie; physical threat, fire, flood, structural collapse, chemical spills or other industrial accident. It is relevant for people working in health, community services, child care, hospitality, retail, manufacturing, warehousing, mining, tourism, entertainment, and other environments. The training is conducted under the auspices and in partnership with APL Group Pty Ltd RTO 3586 t/as Australian First Aid. Additional information on this PUAWER005B - Operate as part of an emergency control organisation unit of competency, can be found at Training.gov.au (replaces the NTIS). You may wish to have the learning and assessment outcomes of our Fire Safe training recognised within this course competency. This accredited course is delivered in one four (4) hour session, which provides successful participants with the knowledge and skills to confidently develop risk minimisation & management strategies and be able to respond to emergencies in your workplace and carry out safe evacuation. Our educator assesses the participants application of skills and knowledge throughout the face to face session, through scenario, skill stations, written assessment and evacuation undertaken during the session. Training is conducted in English and participants should possess functional written and spoken English skills. The course is delivered by local, Industry experts and qualified Tutors, who hold a current Police Clearance, understand the context of practice and embrace the principles of cultural safety in their teaching. Fees are payable though the website or at our office by credit card (Visa/MC), cash or purchase order, and may be tax deductible to eligible students. Should the NT Government and industry bodies make Scholarships available, we will assist you to apply. A 'No Refunds Policy' applies to all online learning courses once you have been issued with your user name and passwords, whether you have accessed the system or not. Pre-payment secures your enrolment for this course, and all fees must be paid before a Statement of Attainment is issued. All participants receive a hard copy Emergency CPR reference book to assist you in maintaining your knowledge over time. LLN support can be provided to participants on request, which includes additional face to face time with the trainer/assessor. This course covers the competency required to implement the emergency response specified in the workplace emergency procedures or specified by a person at a higher level in the emergency control organisation.People who undertake this work will be working within the command, control and coordinate structure of the emergency control organisation, has been developed to cover the broad range of emergencies and workplaces as considered in Australian Standard 3745 2010, is part of a suite of eleven workplace emergency response units of competency that has three streams as well as part of the workplace evacuation stream. Additional information on accredited training can be found at Training.gov.au.